I am hoping my new blog will help keep me motivated in working on my Nifty Fifty Quilts. I have so many still to quilt. 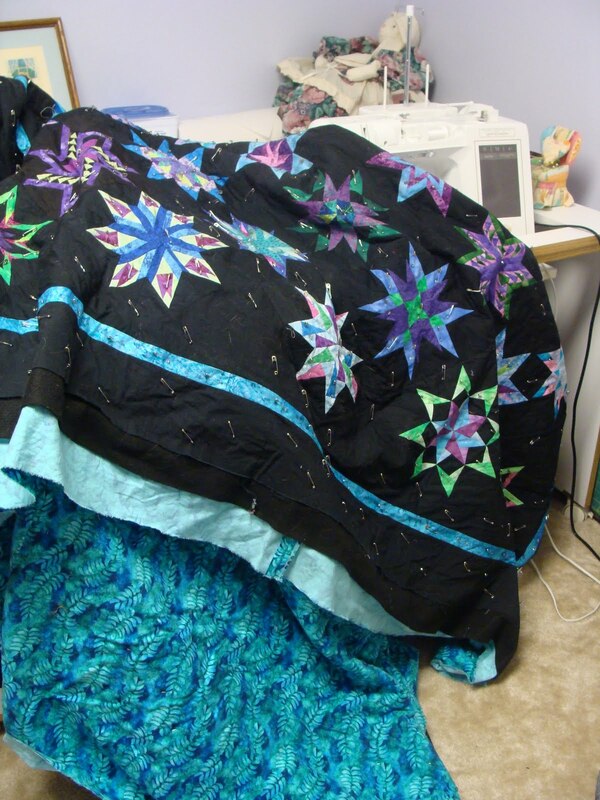 Right now I am working on the NF 22 quilt which are state quilt blocks made from Carol Doak’s Fab paper-piecing stars. Beautiful fabrics… can't wait to see it quilted. Thanks Kathleen. I hate machine quilting with black thread. So I am avoiding it. The backing is flannel and it will be great on my bed next winter so I will keep on quilting.